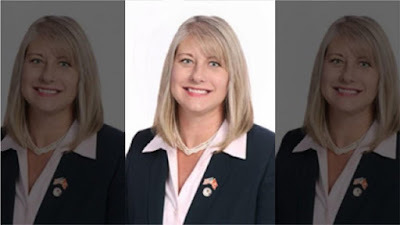 Max Solbrekken World Mission: The Illinois Republican Party called on Kifowit to resign, claiming “she literally wished death upon Rep. Peter Breen and his family. The Illinois Republican Party called on Kifowit to resign, claiming “she literally wished death upon Rep. Peter Breen and his family. Are some members of U.S. Democrat Party demon possessed? No Semblance of Reality! Christians must infiltrate, teach them decency, normalcy and the Golden Rule and the Bible! "To the representative from Lombard, I would like to make him a broth of Legionella and pump it into the water system of his loved one so that they can be infected, they can be mistreated, they can sit and suffer by getting aspirin instead of being properly treated and ultimately die."